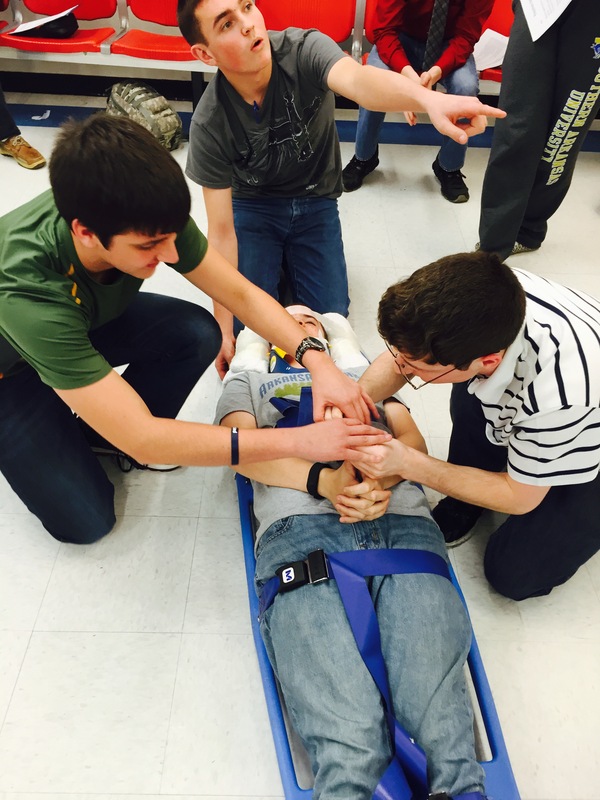 Eighteen students from Sheridan High School recently completed an Emergency Medical Responder course (formerly known as First Responder). The class was held Tuesday and Thursday afternoons from 3:30 to 5 p.m. for most of February, March and early April. The class was co-sponsored by the SHS JROTC, led by LTC Clark Easter, and Grant County Rescue, led by Kevin Hall. SHS History Teacher Bill Remow instructed the class. Remow also is a Paramedic with Central Ambulance and Medical Service in Fordyce, an EMT for Grant County Rescue, and a Firefighter with the Sheridan Fire Department. The class consisted of CPR certification, classroom instruction on medical emergencies and traumas, as well as heavy practice on practical skills. "The students not only enjoyed the class, but they also learned valuable skills that could potentially save a life in the future," said Remow. Remow said that he is happy to teach these skills to his students and plans to offer this course annually. Students interested in learning more about the course should contact Remow at the high school. Photo: (from left) James Loyd, Chris Phillips, and Chance Hopkins. "Victim" is Kyle McLaughlin.